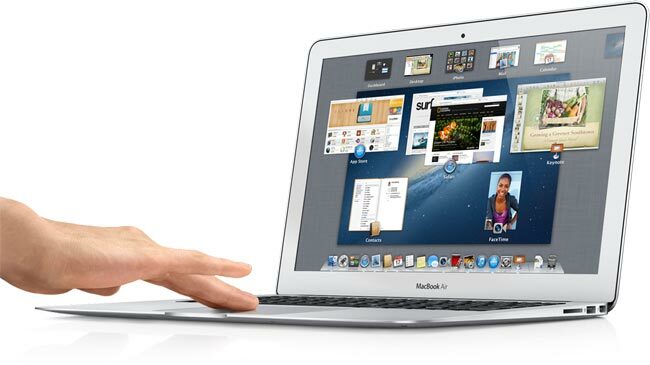 Apple has officially announced their new 2013 Apple MacBook Air, there are two models of the ultra thin notebook, one with an 11 inch display and one with a 13 inch display, and they come with a range of new features and specifications. 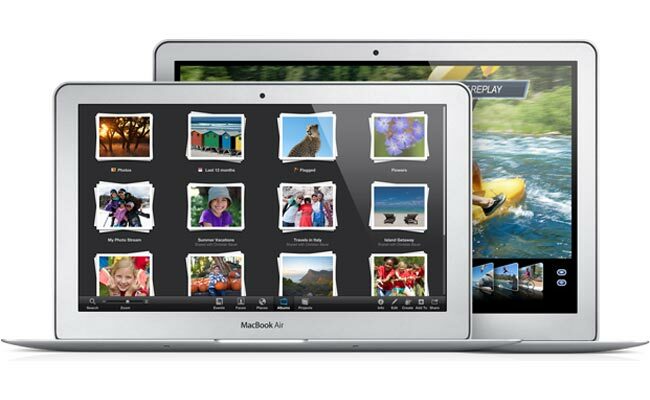 The 11 inch Apple MacBook Air features an 11.6 inch LED blacklit display with a resolution of 1366 x 768 pixels, it comes with the latest Intel processors in the for, of a 1.3GHz dual core Intel i5 processor or a dual core 1.7Ghz Intel i7 processor and up to 8GB of RAM, plus a choice of either a 128GB SSD or a 256GB SSD. The 13 inch MacBook Air features a 13.3 inch LED backlit display with a resolution of 1440 by 900 pixels, and a choice of either a 1.3GHz dual core Intel i5 processor or a dual core 1.7Ghz Intel i7 processor and up to 8GB of RAM, as with the 11 inch model it comes with either a 128GB or 256GB SSD. The mew Apple MacBook Air now comes with what Apple calls ‘all day battery life’, the 11 inch model will give you up to 9 hours of usage and the 13 inch model will give you up to 12 hours of usage. Both models of the Apple MacBook Air feature Intel’s fourth generation Core processor and come with Intel HD Graphics 500, there is also support for the latest WiFi in the form of 802.11ac WiFi. Prices for the 11 inch MacBook Air start at $999 and the 13 inch Apple MacBook Air starts at $1099, both models are now available from Apple as of today.